Nail art adds a style to traditionally manicured nails that is completely unique. The great thing about nail art is that it can be changed to reflect the personality of any individual that decides to wear it. It is so versatile, yet it is easy to have when the right person applies it. There are many different kinds of nail art including glaze (both clear and glitter), Swarovski crystals, diamantes, sticker art and acrylic nail art. There is a different design to suit every individual and it is safe to say that there is a design for all types of occasions. The key is finding someone who is capable of applying the nail art so that it stays on and keeps looking great for several days at a time. In addition, the best nail stylists will be able to provide some gentle guidance in the right direction. 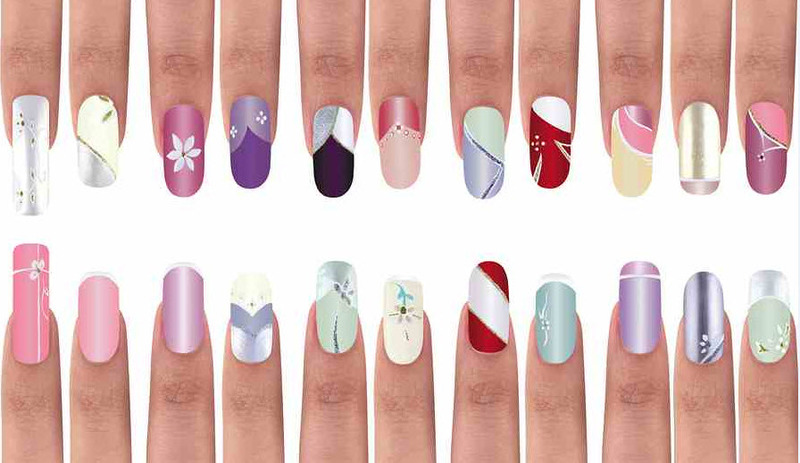 Below are some more details about the different kinds of nail art that are available. Nail art refers to a variety of different types of designs and products that can be placed on the nails to transform regular fingernails into works of art. It usually involves the use of stickers, special designs or even crystals in order to pull off a unique design. This design can then be worn to commemorate a special occasion or for any other reason. A glaze is often used for people that want specialized nail art, yet they don’t want to go too far with the design. It is a great option for individuals who are doing this for the first time. The glaze can be clear in colour or it may incorporate a number of different colours of glitter to add an extra bit of flash to the overall design. These crystals are sought after by almost everyone of because of their beauty. It was not until fairly recently that they started being incorporated in nail art and now, they are seen in a variety of different situations. They are the perfect example to add that final touch for special night out. Exquisite crystals have an appearance that looks just like diamonds. They have an even more elegant touch than other types of crystals and they are typically reserved for the engagements that require something that is truly special. These are some of the clearest and most brilliant crystals that are available. Sticker art is very popular and it can be used to fit almost any occasion. The best part about it is that there is such a wide range of stickers available that they can be used to express the individual personalities of any person that wears them. Hobbies and professions can even be honoured using this method. This type of nail art truly involves a great deal of skill and it requires that the nail stylist express their own artistic creativity using the nails as a canvas. For anyone that has the skill and the ability, there is no limitation to the types of designs that can be created. The best part is that the design is truly unique because no two are alike.